Can you give a general overview or synopsis of your mentoring relationships? In 2014 I’ve mentored at least 30 people (I know I’m missing some folks I connected to by phone), 26 of which are female. My support ranges from a long-distance one-hour phone call, to meeting monthly, to working together weekly in the summer on Museum projects. In terms of audience, I work mostly with high school students and older, and would categorize my mentees as high school, undergrad to graduate/post graduate, and peer mentorship. How did you meet the high school students you mentored? I meet the majority of the high school students I mentor through the Teen Science Scholars program. While I may start out as a mentor on the research side and write (many) recommendations, for some the relationship carries through the remainder of their high school career and into undergraduate and beyond. For example, one of my very first students I mentored at the Museum (2010), Cristal, and I still meet for dinner or coffee once a month or so. Can you tell us a little bit more about your relationship with Cristal? Cristal is an extraordinary woman, and one of the top 5% of students I’ve ever mentored. But, like so many students that are first generation Americans and the first to go to college, her road has not been as easy as some of my other students whose families are more established. She has faced hardships and difficult decisions to help support her family which has put college on the back burner. By continuing to mentor her, even though she is not in the workforce, she has a sounding board she wouldn’t have otherwise – someone that doesn’t have an iron in the fire, and who can giver her unbiased advice, help her continue to make connections (to both people and resources), and who continues to see her potential. In return, she keeps me aware of the issues facing millennials, particularly those from under-resourced communities. She exudes passion for realizing the potential reward in risk-taking (something we lose as we get older, I fear), and reminds me that I too have the ability to take risks. You mentioned you also mentor older students. What do these mentoring relationship look like? The undergraduate students are usually students that volunteer as citizen scientists in the Genetics of Taste Lab. They donate their free time to work in our community-based lab, going through training to become certified to enroll human participants into our human population study in genetics and taste, data collection, preparation and analysis (see our recent publication and a TEDx talk I gave for more info). This group is incredibly fun to work with, they are so passionate and more positive than graduate students and post-docs, and know themselves better than in high school. There is so much opportunity available at this age and stage of education, that the paths they can take are almost endless. I make myself available for coffee to bounce around ideas, to connect them to internships, to talk through graduate school options and other career options I only have a few undergrads that I work with more closely than periodic mentoring, and one in particular stands out, Emma. I met Emma through the Lab, she volunteers as a citizen scientist. She has a fire in her though! And she quickly demonstrated her interest and loyalty to the program. When she applied for an internship with us through the Colorado Bioscience Institute, we knew she could really do amazing things. She has interned in this capacity ever since, and she and I are currently co-authoring a scientific manuscript together. She has been able to get research experience she wouldn’t have otherwise received at the community college she attends, a mentor to help her navigate her education and options, and we have been so fortunate to have such a positive and hard-working student bring so much life to a project we probably wouldn’t have pursued if not for Emma’s motivation. Why do post-graduate students need a mentor and how are these mentoring relationships most commonly built? The graduate through post-graduates I mentor are often lost as to where their science and STEM education can really take them. There is a disconnect between academic training (i.e. 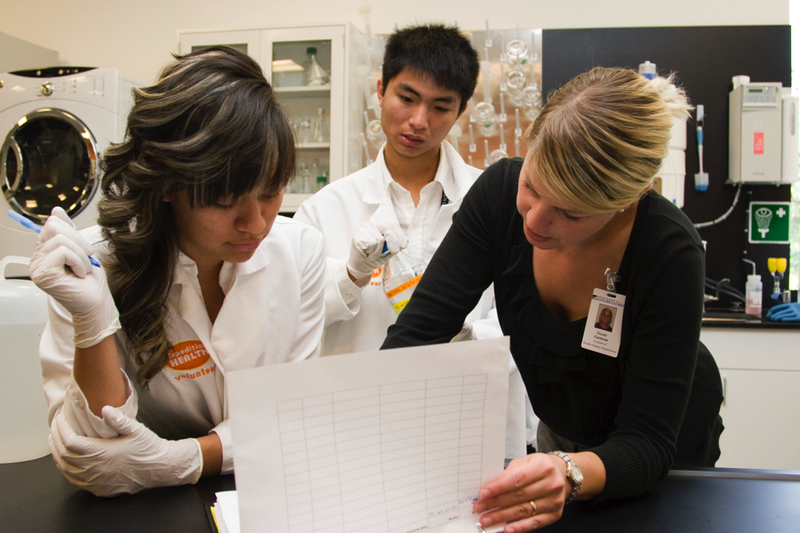 students are trained to someday become the professors and PIs) and the actual availability of tenure-track positions and the resources now-a-days to fund science research. Therefore, many of the students I mentor in this demographic are disillusioned when they realized their education and training is not setting them up for success in careers outside of academia (and the careers inside academia are few and far between!). These folks usually find me when they start exploring non-academic career routes. I will conduct an introductory meeting to learn more about the person and to see what I can do to help. It is at this stage that there is a definite value added in that I’m not just mentoring, but really sponsoring my mentees-their success has the potential to help me and the Museum not only in the future, but possibly now as well. By helping them get training and experience to secure their career, these might be folks I end up working with on future projects. So I take this mentorship and sponsorship very seriously. For folks I believe in, like Jennifer, a post doc when I started working with her, I created opportunities for engagement in teaching, speaking and programs here at the Museum. Anything which takes their academic CV and incorporates real world experiences. Jennifer found teaching was her passion, and is now employed at a local community college doing what she loves. In turn, the museum now has a direct connection to college which allows us to recruit for citizen scientists and interns, partner with student groups that align with STEM and women in STEM. Another example, Diane, came to me realizing she loved working with the public, and following her PhD, she found she did not want to pursue a tenure-track position. After several months working together, and helping to familiarize her with the Museum world, she recently accepted a position as a curatorial assistant. In that process I gained a great museum colleague I would partner with in a heartbeat. Can you share a little bit around your engagement with the Million Women Mentors movement? Delighted to! Following pledging at Million Women Mentors, I formed a group of professional women that didn’t know each other, but which combined expertise and a presence across a variety of fields. The goal was to take peer-mentoring in our own hands, and forging forward with a group (we call ourselves WIP, Women In Progress) that in any given month we might tackle brainstorming, connecting, favors, or tasks that help one of us take the next step forward. We host monthly dinners, which have been a fantastic way to get together a broad sounding board of rising professionals in the Denver area. Over the course of this conversation, the program you work with and the museum have come up time and time again. Would you share with us some information about these programs? I direct a program called the Teen Science Scholars. This program offers high school students an opportunity to intern at the Denver Museum of Nature & Science. Selected students work alongside their mentors through the summer, learning how to conduct scientific research, compile data, and present their findings at tan annual Research Exposition held at the Museum at the end of the summer. This program is geared to help strengthen investigate and communication skills, as well as other professional and technical abilities. Thanks, Nicole! Really appreciate you taking the time to speak with us.